When it comes to hand stitching of any kind...this is what I use. I've pieced a Lucy Boston Patchwork of the Crosses, Dear Jane, several grandmother's flower gardens, a double wedding ring, and a Farmer's Wife...and this is my go-to. It holds up well and very rarely does it break, twist, or knot. 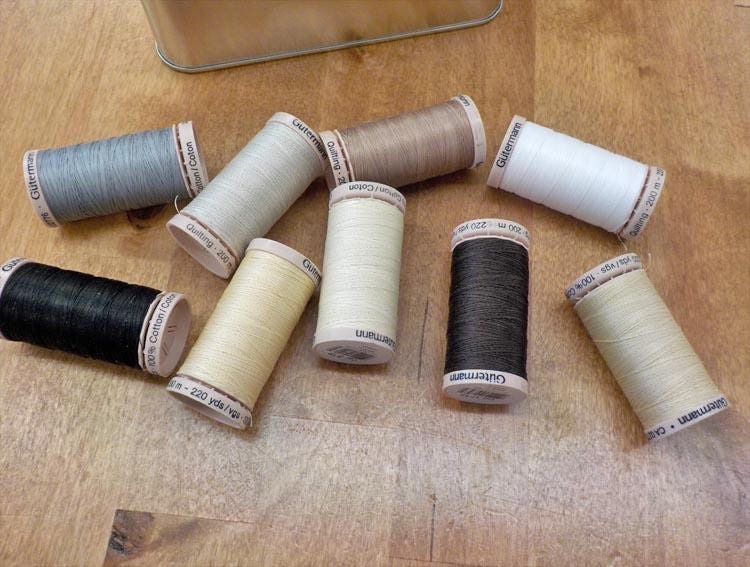 this listing has options...add individual spools to your cart...OR the whole shebang (we'll include the little windowed tin to store them). 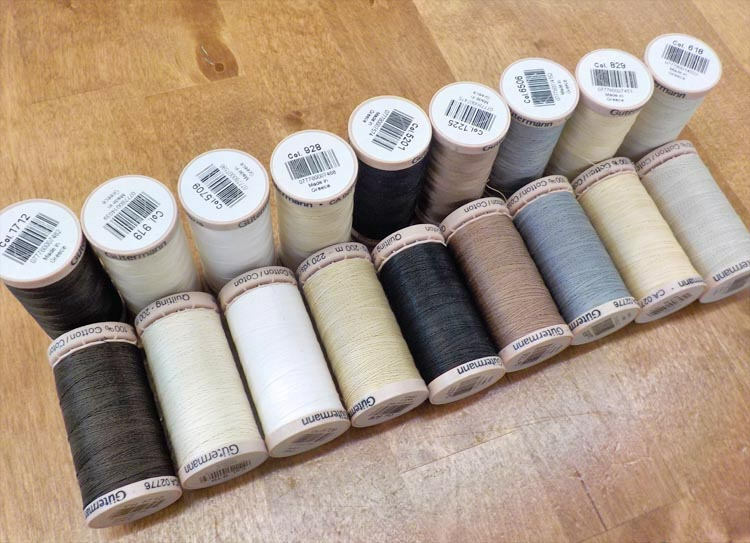 If you have any questions please convo me...shipping is set at flat rate...single spools will be shipped in a manila and the overage refunded after shipment. 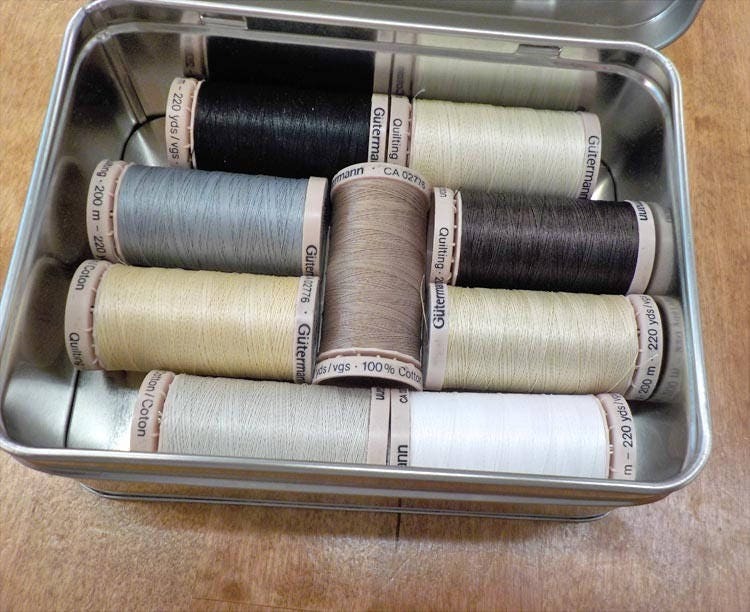 Excellent little tin of quilting thread!!! Very happy with this purchase. Thank you!